Definition at line 154 of file llresmgr.h. Definition at line 456 of file llresmgr.cpp. 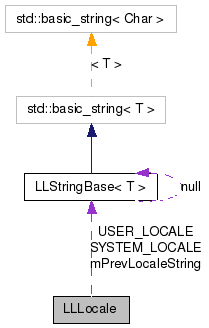 References llendl, llwarns, mPrevLocaleString, NULL, and SYSTEM_LOCALE. Definition at line 471 of file llresmgr.cpp. Definition at line 165 of file llresmgr.h. Referenced by LLLocale(), and ~LLLocale(). Definition at line 162 of file llresmgr.h. Definition at line 161 of file llresmgr.h. Referenced by LLPanelDisplay::applyResolution(), LLInventoryView::changed(), LLInventoryView::draw(), LLFloaterSnapshot::draw(), LLResMgr::getMonetaryString(), LLPreviewGesture::onCommitWait(), LLSpinCtrl::onEditorCommit(), LLSliderCtrl::onEditorCommit(), LLLineEditor::postvalidateFloat(), LLLineEditor::prevalidateAlphaNum(), LLLineEditor::prevalidateAlphaNumSpace(), LLLineEditor::prevalidateFloat(), LLLineEditor::prevalidateInt(), LLLineEditor::prevalidateNonNegativeS32(), LLLineEditor::prevalidatePositiveS32(), LLManip::renderTickValue(), LLManip::renderXYZ(), LLSpinCtrl::updateEditor(), and LLSliderCtrl::updateText().